Alain Badiou is the Rene Descartes Chair at the European Graduate School. 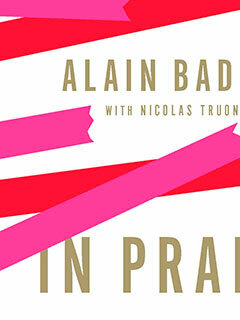 A leading French philosopher and lifelong communist, he is a co-author (with Nicolas Truong) of In Praise of Love (The New Press) and the author of The Meaning of Sarkozy, Being and Event, Ethics: An Essay on the Understanding of Evil, and The Communist Hypothesis. He lives in Paris.